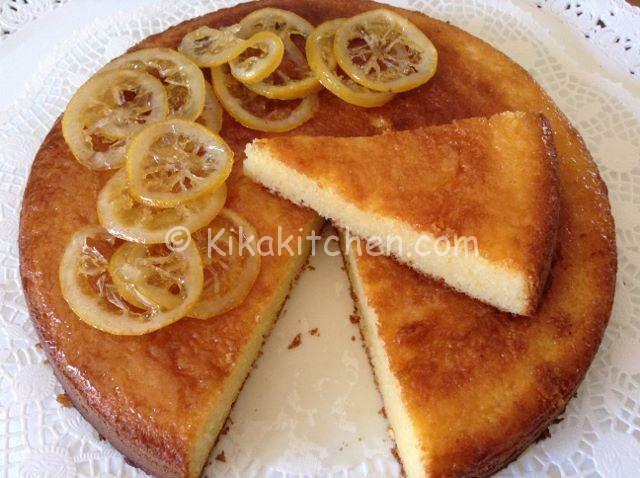 The lemon cake is a cake soft and fragrant suitable for breakfast or a snack, flavored with orange peel and lemon juice and topped with powdered sugar or with caramelized lemon slices. 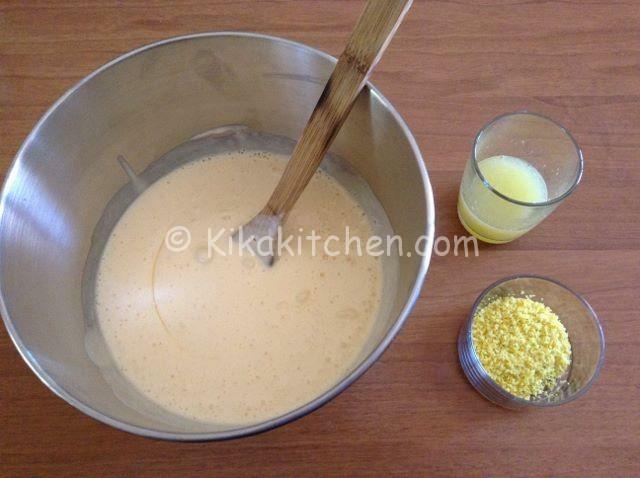 To prepare the lemon cake is necessary that lemons are not treated because they’re going to use the juice even more zest. 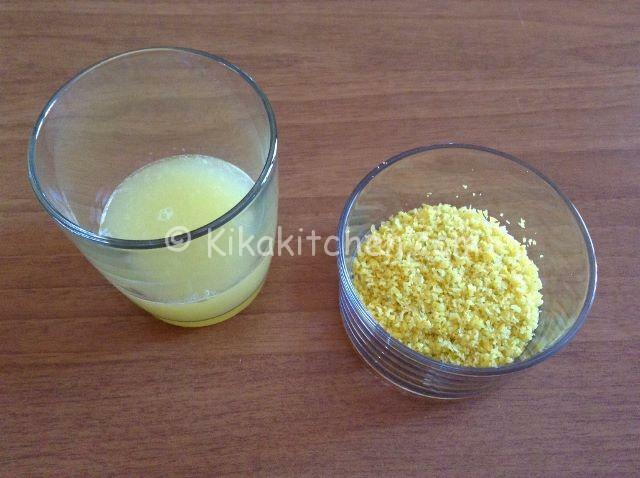 So start by grating the zest of 3 lemons or remove the zest without the white part and chop finely, finally squeeze the juice of two lemons and set aside the two preparations. Preheat oven to 180 ° so at the end of preparation will come to room temperature, start by mounting the eggs with the sugar for about 10 minutes until you get a creamy white and foamy. 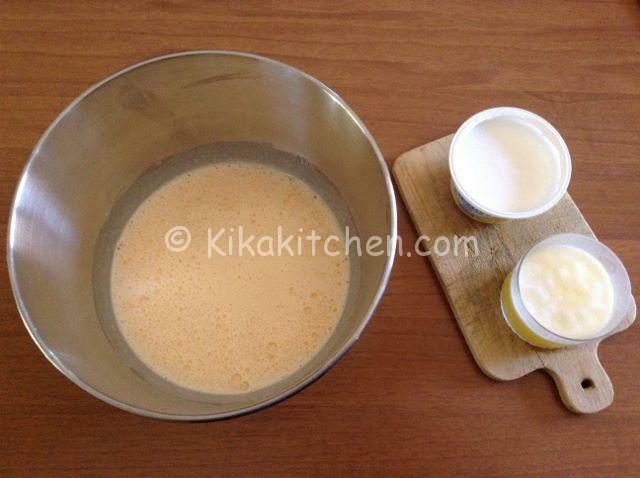 Add the whipped eggs yogurt with lemon and melted butter in a double boiler or in the microwave. Mix the ingredients well and add the juice and zest of lemons. Finally, add the flour, potato flour and baking powder. 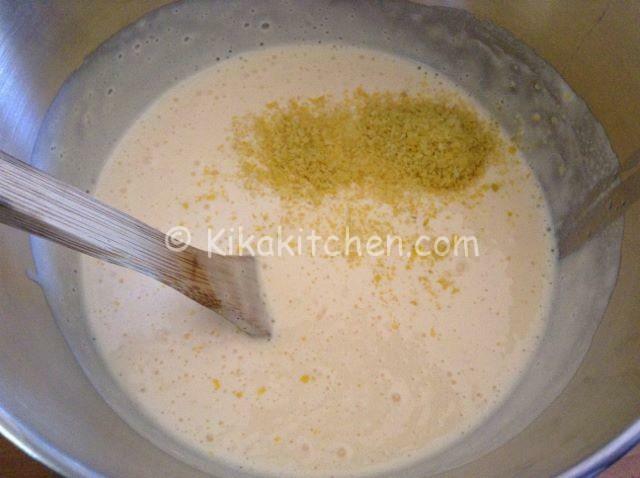 Stir the mixture well again from bottom to top and pour into a greased and floured baking sheet. 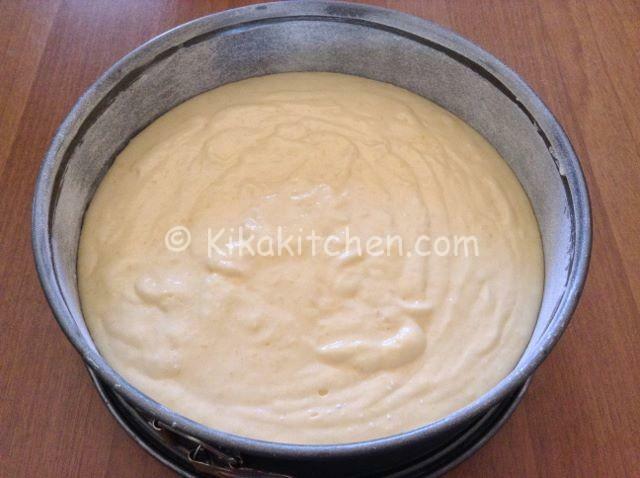 The pan in the photo has a diameter of 26 cm, for a cake using a higher diameter 24. Bake at 180 ° for about 35-40 minutes, depending on the oven. While waiting for the cake to bake lemon prepare the lemon slices for garnish to caramelize the surface of the cake. 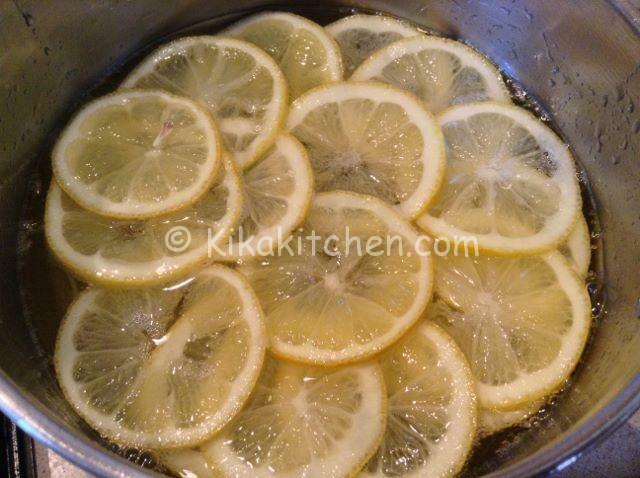 Then pour the water into a saucepan with the sugar and in the meantime two lemons cut in thin slices. 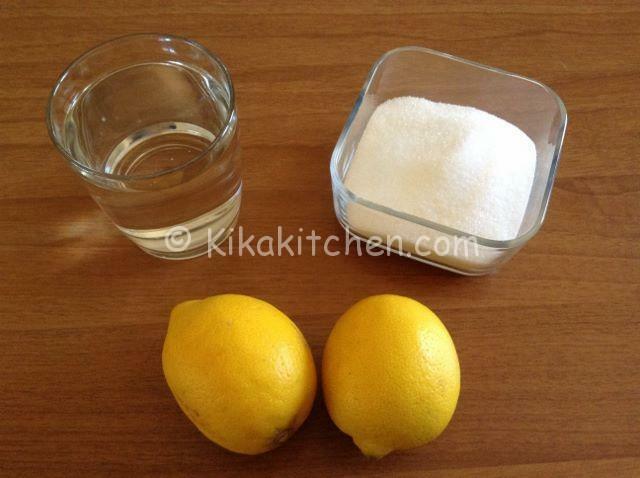 When the sugar is completely melted add the sliced ​​lemon and cook over medium heat for about half an hour. 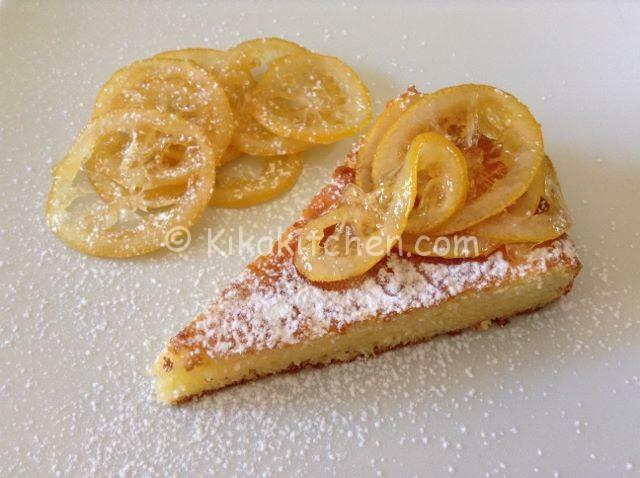 When the slices of caramelized lemon will remove them from the syrup and keep aside. 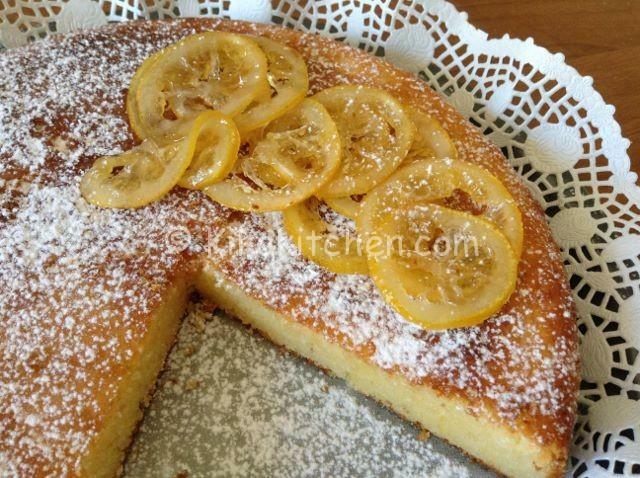 Brush the surface of the lemon cake with syrup and garnish with lemon slices. Dust with icing sugar (optional) and serve. 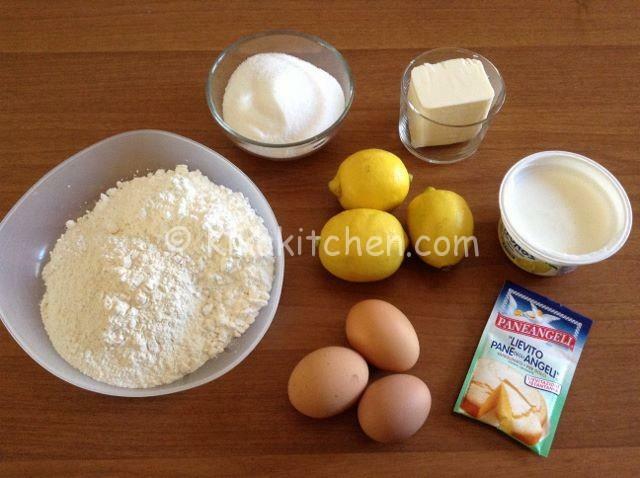 If you liked the recipe for lemon pie click “like” and share it on facebook.